When rainwater hits hard surfaces like roads and parking lots, it can’t soak into the ground and instead runs along the surface until it flows into a storm drain or into a local river or stream. Known as stormwater runoff, this water can pick up pollutants such as heavy metals, brake linings, and deicing salts which contaminate local waters. Additionally, high volumes of stormwater can exacerbate localized flooding posing a threat to public health and safety. In older urban areas with combined sewer systems, high volumes of stormwater runoff can overwhelm the capacity of the system and result in combined sewer overflows (CSOs) which send untreated sewage and stormwater into rivers and streams. 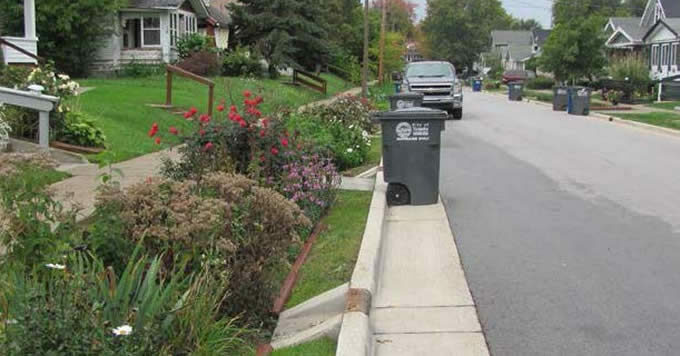 This report evaluates opportunities to better integrate green infrastructure for postconstruction stormwater management into transportation projects, focusing specifically on roads and highways. 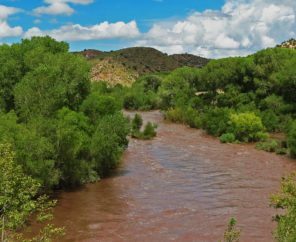 The report summarizes transportation planning and structure, capital improvement planning, and the role of stormwater management in these processes. It examines the role of the Clean Water Act and other regulatory drivers for stormwater management on roads and highways and highlights case studies from across the country to identify best practices in integrating green infrastructure at the transportation planning and project development stages. The report also provides recommendations to fund green infrastructure on roads and highways. 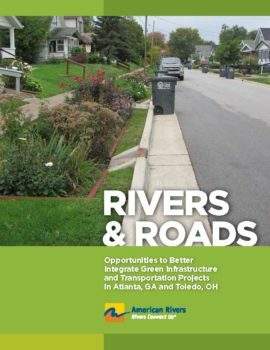 Although the overall focus is primarily on the federal context, the report provides two case studies in Toledo, Ohio and Atlanta, Georgia and develops specific recommendations for both the state Departments of Transportation (DOTs) and the cities themselves to better integrate green infrastructure into transportation projects. Both cities are moving forward with green infrastructure planning and these recommendations can provide additional resources as they address specific opportunities and challenges related to transportation.